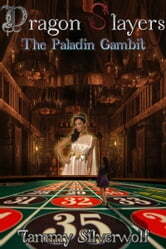 Being offered the gift of sight for service to a goddess of hedonism and fulfillment might not sound all that difficult of a choice to make but for Leslie, a humble seamstress, the path to becoming a paladin and champion of her newfound faith is a tangled web she's not prepared to navigate. 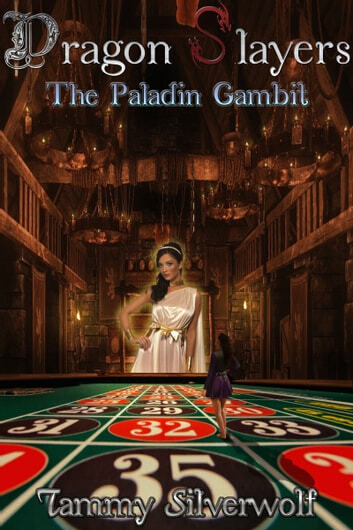 Forced to confront the demons of her dead husband's gambling addiction and a crafty sphinx who's casino she must infiltrate to steal a relic of her patron goddess, Leslie will have to learn how to handle her new abilities and employ the skills and senses she's honed over half a decade of blindness in order to complete her mission and figure out what her goddess is hiding from her. In this world of divine conspiracies, dragons and magic, nothing is ever what it seems and one's fate and faith can be changed by the draw of the cards.